Do you experience migraines? Have you noticed any issues with concentration, constipation, or fatigue? Would you like to finally motivate your body to feel better, with more energy and willpower? The battle of silent migraines has plagued me throughout my life. Though my symptoms were a bit different at various intervals in my life, I sought after a neurological physician for answers. I stumped her with my combination of symptoms. Unfortunately, several doctors couldn’t figure out my silent assailants. My symptoms ranged from: slurred speech (thankfully not a stroke), pressure on the temporal lobe area, balance disturbances, vertigo, lethargy, and intermittent cognitive delays. Often I couldn’t remember what I was reading about, and would have to re-read several times. I also experience Deja-Vu, with occasional visual and auditory abnormalities. Which I often attributed those experiences as “spiritual experiences”. It turned out that an intracranial arachnoid cyst was located on the temporal lobe of my brain. To gain a little more understanding on the subject, look to the National Organization of Rare Disorders, or N.O.R.D. Following a car accident in 2005, in which I hit the side my head, the arachnoid cyst was stimulated and activated. In medical journals they claim these cysts are within your brain at birth in some hereditary lines. Mine laid dormant until the accident; however, the symptoms didn’t start until 2011. I tested negative for having any seizure activity; which was strange, as the neurological doctor’s report on the paperwork stated I was having undetectable seizures. Lesson learned: sometimes you just have to let go of labels. As Western medicine is focused on prescription based treatments, they insisted on doping me up. I tried popping their pills, however the side effects from many medications were too much. With my body being too sensitive for the treatment, what was I to do? Get injections in the base of my skull? Um, no thank you. Drink caffeinated beverages. In particular, drink coffee as it vasodilates, or opens up blood vessels. Really? Drink coffee and exercise with a healthy diet is all they came up with? The slow growing benign cyst was too small for a surgeon in the Denver area to operate on. Then I saw the movie Reboot with Joe. I literally watched the Netflix film at least three times on replay. After discussing it with my family, I printed a sheet to take to my physician and talked it over with my general health practitioner. Maybe this would be something I could try? She took the documentation and requested me to come back in a few days. My doctor said, “yes of course.” You’re “drinking” your fruits and vegetables vs. eating them with no extra sugar added. Please keep me updated on how you feel. After juicing with a big, bulky juicer, I chose to try blending; it was more within my budget as well. The health benefits have been the same, either way. I started out juicing at least two meals a day; then going to one meal a day. I took breaks and have discovered what foods and drinks I need to stay away from, unless I choose to punish my body, over unnecessary hardship of headaches. Let me be clear, when I use the words “juice/blend” I’m only using real (organic fruits and vegetables, if the price fits my budget) whole farm raised foods without additives or sugar. Ingredients: Spinach, Cherries, “blenditup” Protein, and water. Now, a year and a half later, I seldom experience any of my old symptoms. I can sense when I need to start blending, for the most part it has become a daily ritual for my health. I blend once a day; sometimes just fruits and veggies and other days as a meal replacement, and some days with only water and yogurt (adding in vegetarian protein that is gluten-free). I integrated exercise and really tried to limit any caffeine intake. Soda and alcohol are my biggest triggers for the silent migraines that create slurred speech. I often use blueberries and cranberries, and concord grapes as they are an example of “muscadine berries”. One can organically juice the ripe (green) vines for health benefits such as fiber. Although some might not like the Dr. Oz Show (video of a three day cleans with Joe Cross) or various physicians who back certain products and endorse diet systems and so on. He makes some strong points that you can read from any medical journal. Do you remember when you got your first headache? Most likely not, but, maybe you remember the migraine or headache that was most painful, or the one you had yesterday? Maybe you felt a range of symptoms: cluster headaches, sharp stabbing pains, visual disturbances, auditory sensitivities, or photo optical sensitivities. What if taking medications aren’t an option for you? Are you a person with sensitivities or allergies to certain medications? If you’re pregnant, acetaminophen might seem like your only option. How much fiber do you think you’re actually taking time to eat? Can you name a few foods that you eat on a daily basis that are fiber, besides the bread or cereal you ate? You might be surprised to know that the food pyramid that we all have come to know is actually wrong; okay, it’s not wrong so much as it has evolved through the years. See the changes yourself with “Choose My Plate” and the differences with the CDC and the Produce for Better Health Foundation in 1991. They have rediscovered we actually need five to nine servings of fruits and vegetables a day per your age and weight. Poverty plays a huge roll on the amount of consumption of eating healthy. Especially, when it comes to how much food and what kind of food we should be eating in our 2,000 calorie diet. Only a palm size amount for protein meats, and eating 80% more vegetables than 20% fruits and vegetables a day. Another tip is to remember that your fruits are your dessert. You should eat vegetables and fruit “five times a day” is the trend by the CDC. 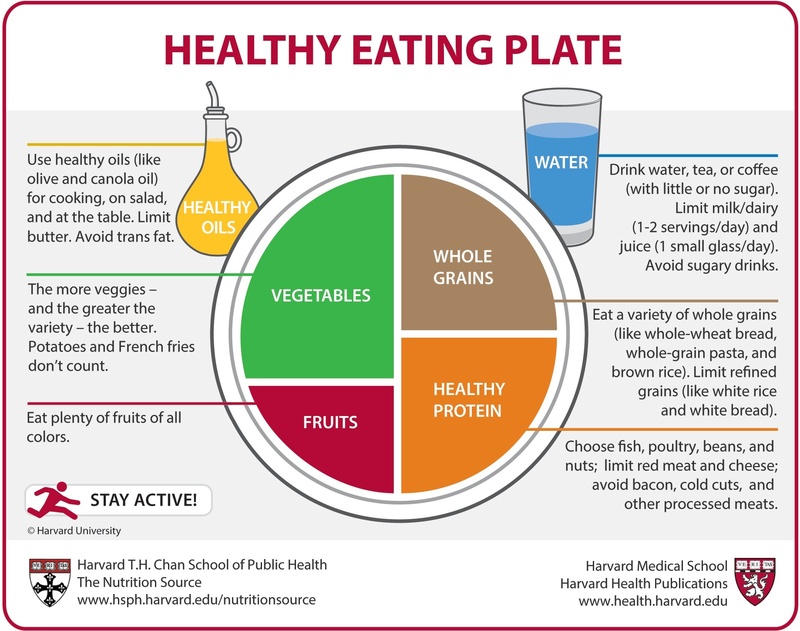 Harvard.edu states you should fill half your plate with vegetables and fruit before you even consider putting grains or proteins on it. I thought eating veggies and fruits at every meal was enough. Those migraines say otherwise for my body. In reality, I don’t want to eat that many servings per day; honestly, I would much rather drink it. 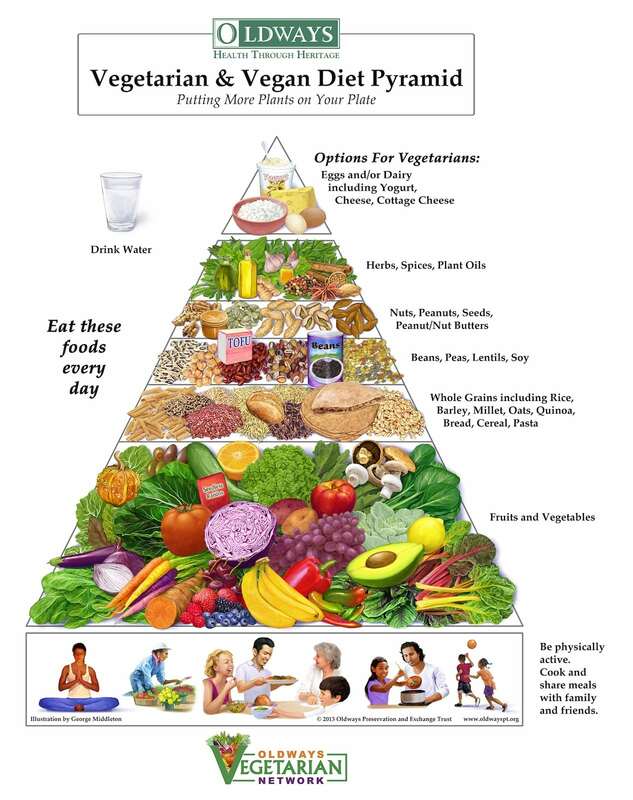 Other pyramid’s to try are transformation90.com, healthy eating plate, vegan diet pyramid. Have you thought about “juicing?” Maybe you have, but you just don’t want to use that old machine that your mother bought to lose weight. Maybe you never had one, and let me say that there is way too much pulp that is wasted by throwing it away or to put back into your cooking. Then you realize and understand why using a big bulky juicer was only used a few times. This is why I blend. The Ninja blender has high speeds that blend your fruit and veggies into a satisfying smooth drink without any lumps. I rarely ever throw away anything that’s leftover after blending vs a juicing machine. I’ve never used the Bullet blender before, but reviews suggest it is a very good product as well. Regardless of which route you decide to go, both will get the job done when it comes to juicing. Bottom line, you don’t have to go straight for the medication. You never know what you might discover about yourself or how to heal, until you decide to give it a try. Previous Post 22 Veteran Suicides a Day, The movie “ACRONYM” assists in P.T.S.D relief.